"In my experience, the Transkriber software has proven an indispensable pedagogical and professional tool." Adam Perlmutter. Adam does ALL the transcriptions for Guitar One Magazine. He uses both the windows and mac versions. The Transkriber is the official transcribing software for Guitar One Magazine. "I just wanted to thank you again for creating such a useful program. The Transkriber has helped make my job a lot easier this time. Take care and thanks again. " Skip Dorsey. Guitarist/Britney Spears . "When I transcribe using the computer, I use the Transkriber software. I find it a great companion to the Reed Kotler Music TR-1000 Digital Music Study Recorder. All my students use the Transkriber software." Wolf Marshall. Famous Transcriber and guitarist. 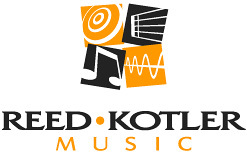 Has done many rock and jazz transcription books for Hal Leonard Publications and others. Was a founding member of Guitar One Magazine. "The Transkriber is a great post production tool for learning and translating highly intricate musical compositions. Whether you are using the [Reed Kotler Music]TR-1000 hardware or interfacing with a computer, the Transkriber is a valuable tool in our post production arsenal." Frank Serafine, Frank Serafine Studios. Top studio for film music. Among many film credits is "STAR TREK - THE MOTION PICTURE". Brian Lynch. World renowned jazz trumpet player. Currently plays with Phil Woods. Former member of Horace Silver Band. Mel Martin. Great jazz saxophone player. Has played with many famous bands.